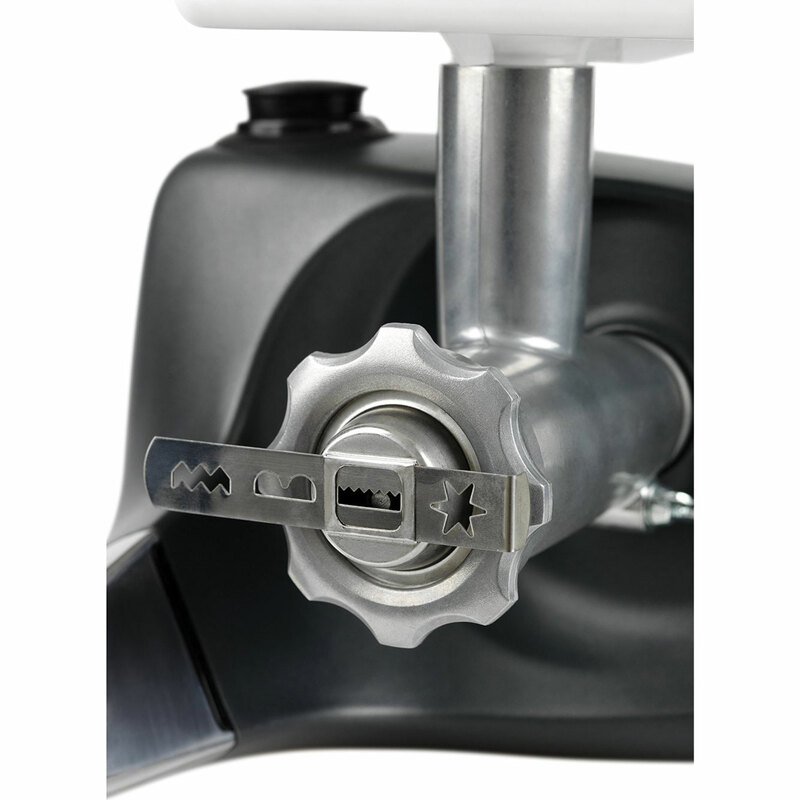 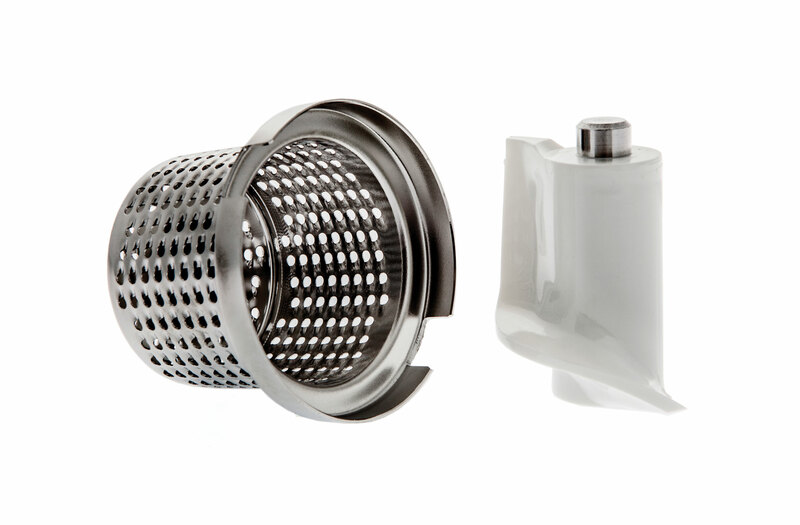 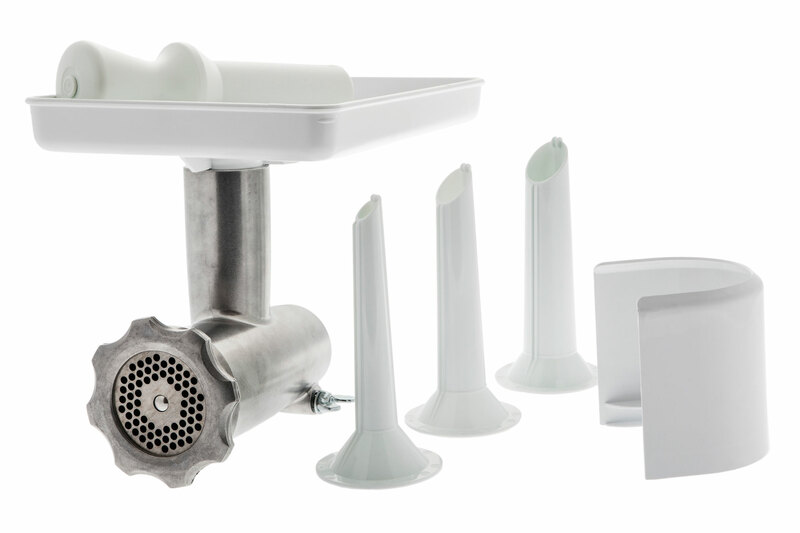 The Ankarsrum Complete Meat Grinder Attachment is designed to fit the Assistent Original Stand Mixer. 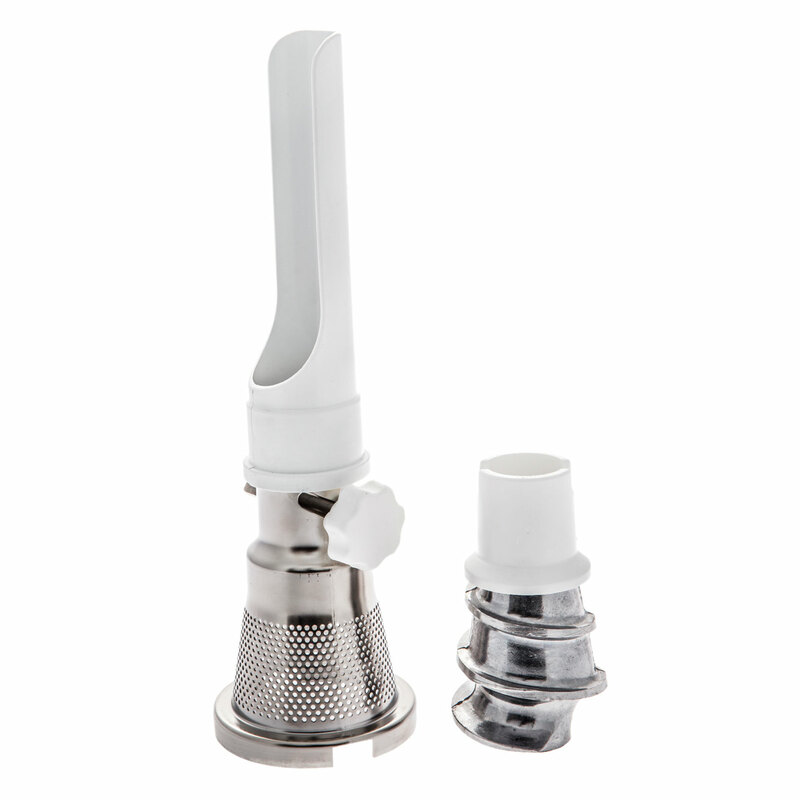 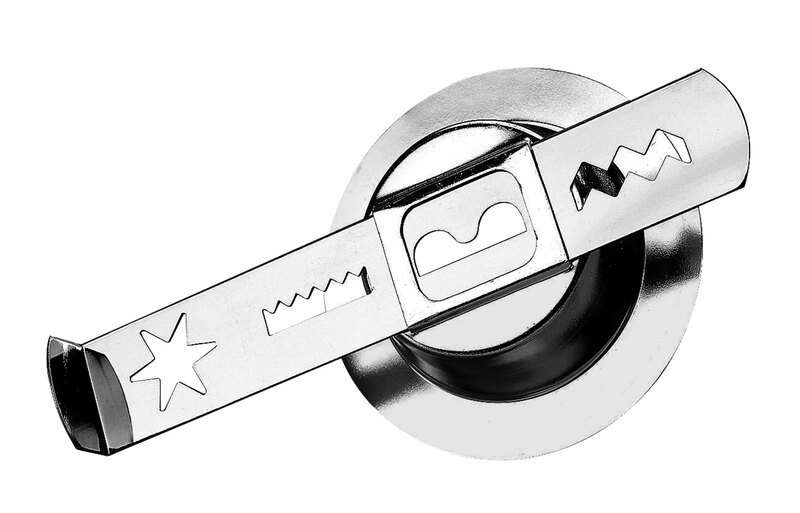 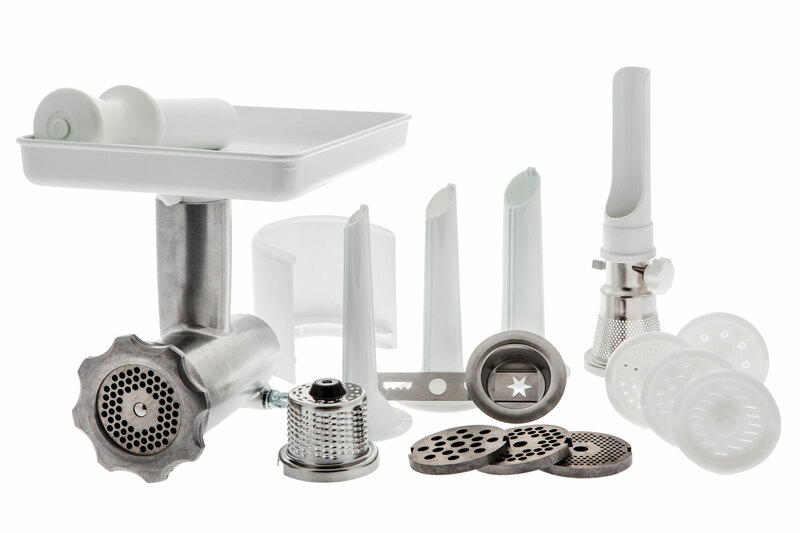 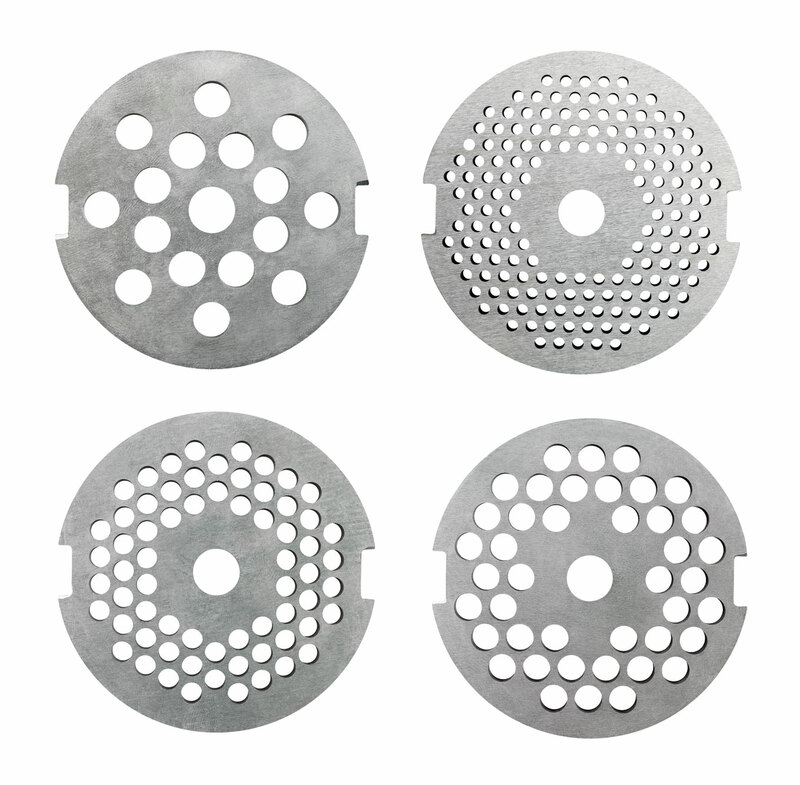 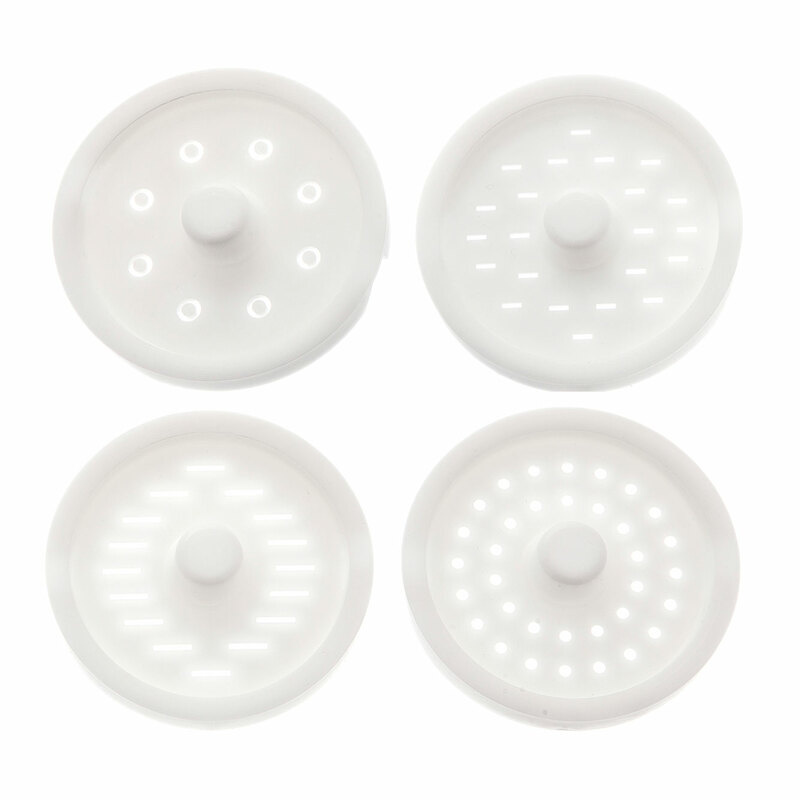 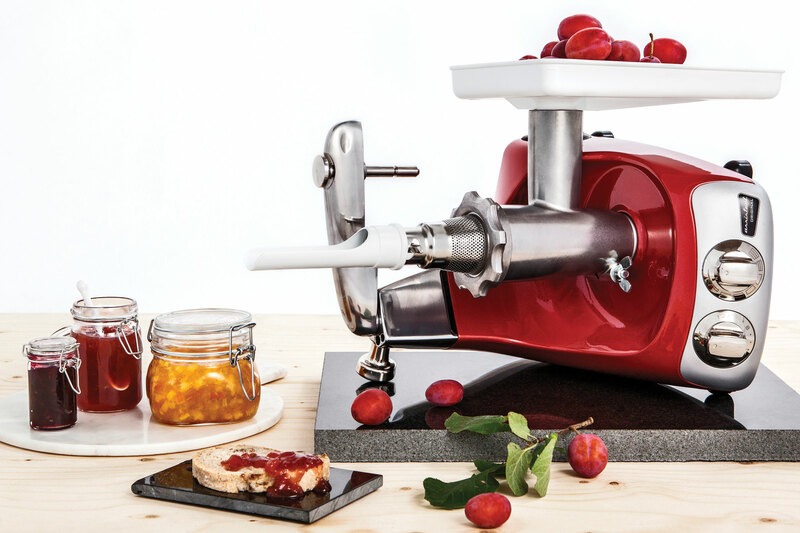 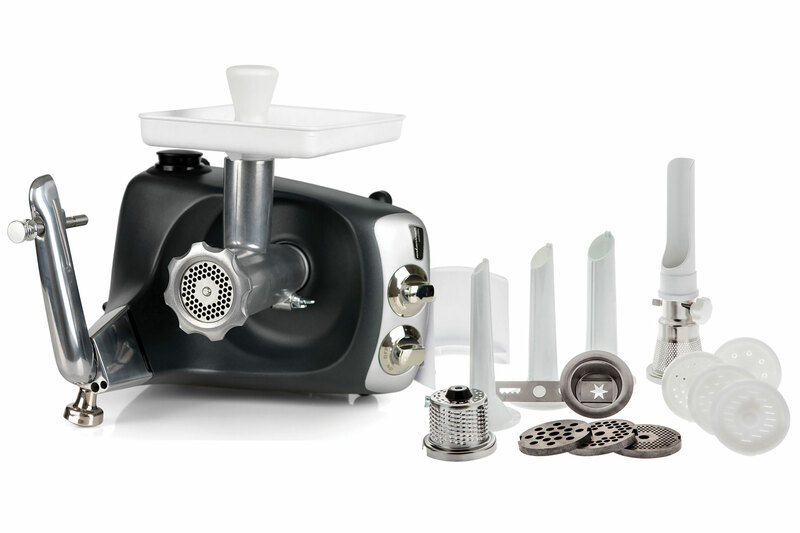 Includes a 4.5 millimeter hole disc, feeder table, plug, splash guard, sausage horn, 2.5-mm hole disc, six-mm hole disc, eight-mm hole disc, strainer, grater, pasta discs, and a cookie attachment. 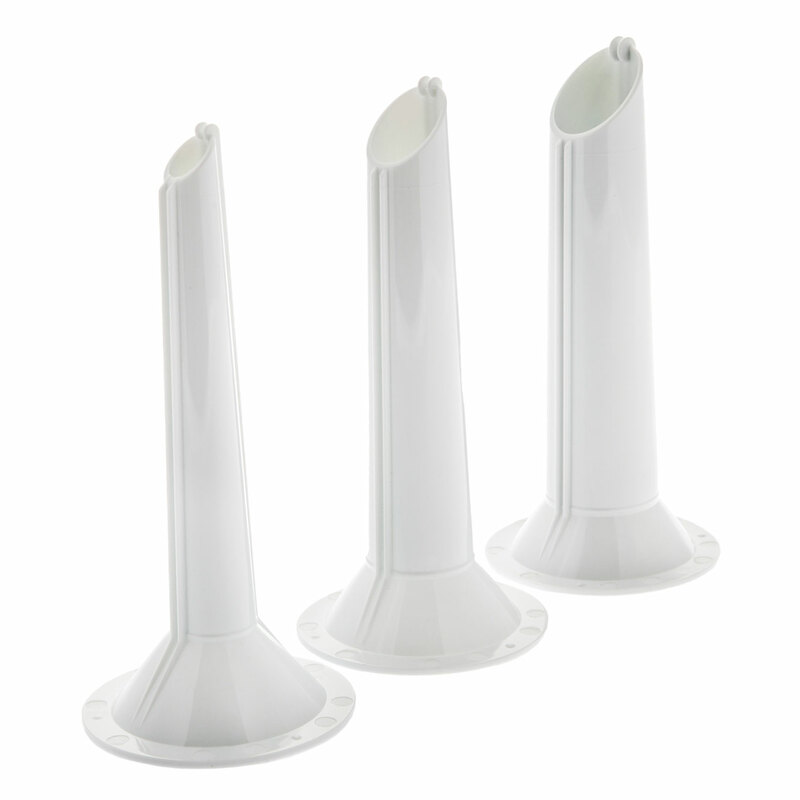 Simply grind up pork, beef, or chicken meat for making various ground meats including sausages and hot dogs. 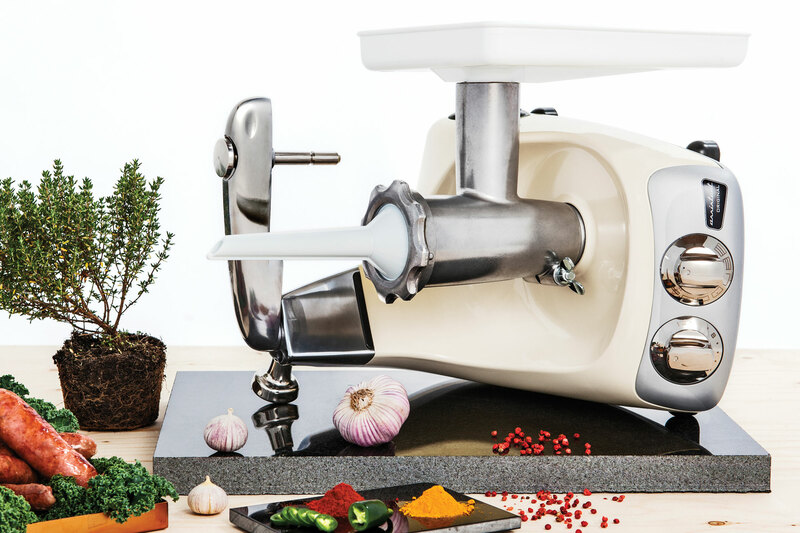 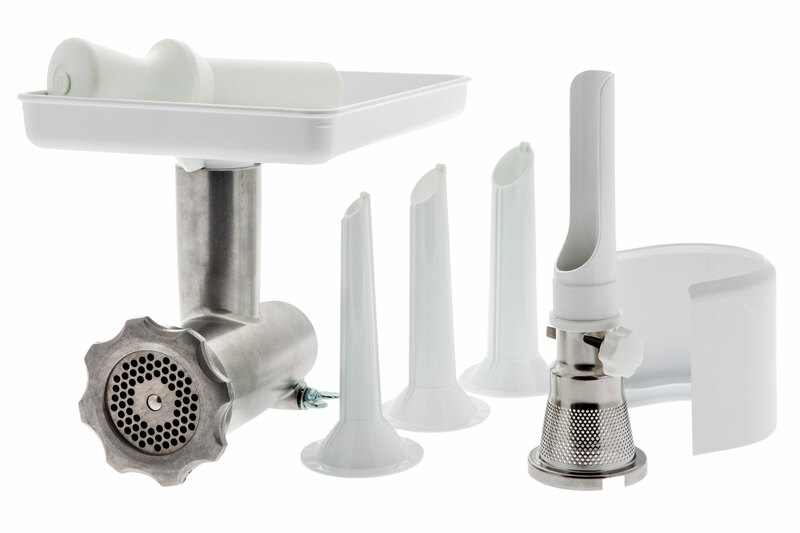 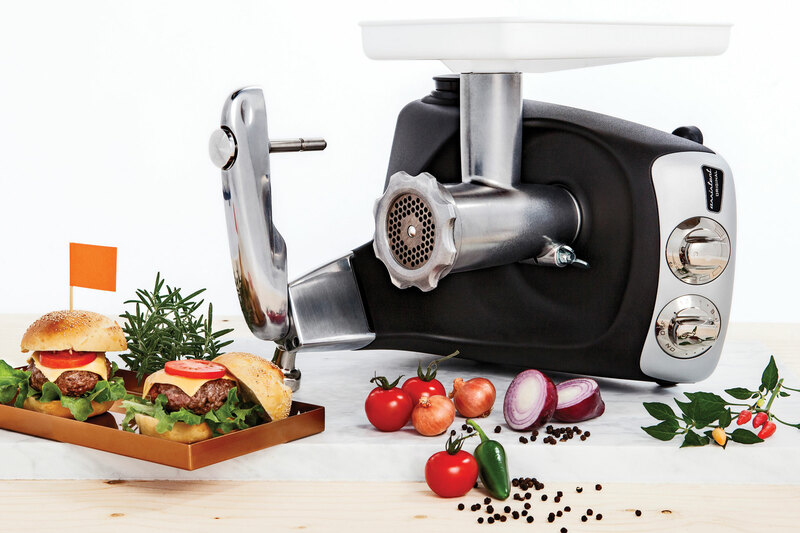 See how the meat grinder attachment turns the powerful Ankarsrum Assistent Original stand mixer into a mincer that will make it simple to create freshly ground beef, turkey, chicken and more.